CFC 601Y Bedford TL/Magirus Turntable Ladder 10/82. 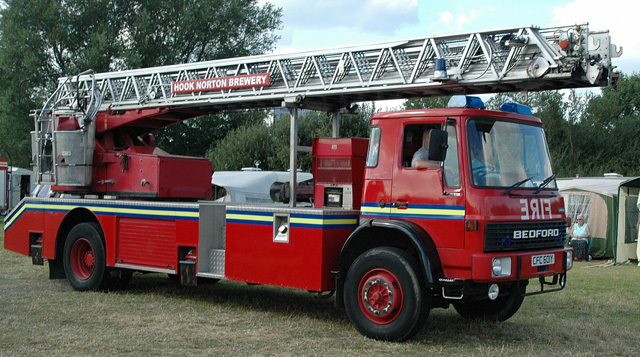 Former Oxfordshire Fire Brigade vehicle. This appliance was based at Rewley Road fire station , Oxford , before being replaced by an ALP ( Aerial Ladder Platform ) . It subsequently served as a reserve machine until being sold to the Hook Norton Brewery . Added by Jeffrey Smith on 15 February 2019.